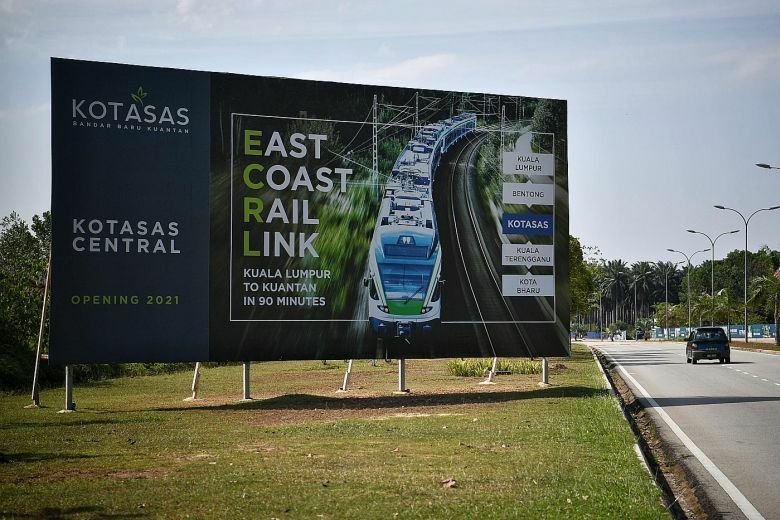 (27 January 2019) Malaysian economic affairs minister Datuk Seri Azmin Ali announced plans to cancel its US$20 billion East Coast Rail Link (ECRL) project with contractor China Communications Construction Co (CCCC) last week due to high costs. The minister added that the interest on the project alone would cost US$121.6 million a year and the country did not have the financial capacity to bear this. However, on January 29 Malaysian Prime Minister Mahathir Mohammed has stated that Finance Minister Lim Guan Eng will soon provide a clear explanation on the actual status of the project. The ECRL is potentially the second China-backed project that the Malaysian government will call off — the first being a natural gas pipeline in Sabah. According to a study by a US-China think tank, the ECRL is the second most costly project under China’s Belt and Road Initiative (BRI), behind the US$21.4 billion Moscow-Kazan high-speed railway project in Russia. (28 January 2019) The US$1.9 billion expressway linking Phnom Penh to the deep sea port in Preah Sihanouk will break ground in March with as part of China’s BRI, said Chinese ambassador to Cambodia Wang Wentian. The project, which will take four years to complete, will be built on a build-operate-transfer basis by the state-owned Chinese Communications Construction Company (CCCC). According to Cambodian transport minister Sun Chanthol, 200 construction workers from China have arrived in Cambodia earlier this month and US$100 million worth of construction materials will reach the country soon to build the expressway. Meanwhile, Prime Minister Hun Sen called on companies to consider investing in another US$3 billion expressway connecting Phnom Penh to Bavet — a city on the Cambodia-Vietnam border — during his recent visit to China. (24 January 2019) Cambodia will set up more trade centres in Beijing, Kunming and other cities on top of its existing centres in major cities such as Guangzhou, Hainan and Xi’an, said commerce minister Pan Sorasak in Beijing. Bilateral trade between the two countries reached US$5.6 billion in 2018 and the two countries agreed to aim for trade worth US$10 billion by 2023. According to minister in the Prime Minister’s office Kao Kim Hourn, the Chinese government also agreed to increase its quota of Cambodian rice imports by 100,000 tonnes and explore the possibility of entering a bilateral free trade agreement (FTA) with Cambodia. (25 January 2019) A study by Nielsen found Singapore, Malaysia and Thailand to be the top destinations for Chinese tourists using mobile payment outside of Greater China. Of the 1,244 businesses surveyed in areas frequented by Chinese tourists, around 60% of businesses in Singapore and Kuala Lumpur were found to accept mobile payments, while 55% of businesses in Bangkok do. Supermarkets and convenience stores recorded the highest adoption rate of Chinese mobile payment of all business categories at 75%. Further, the study found that the leading reasons for adoption of mobile payments were the sheer volume of Chinese tourists who represented “a significant source of foot traffic and turnover” and because 90% of businesses have been asked by Chinese tourists if mobile payment was accepted in their store.